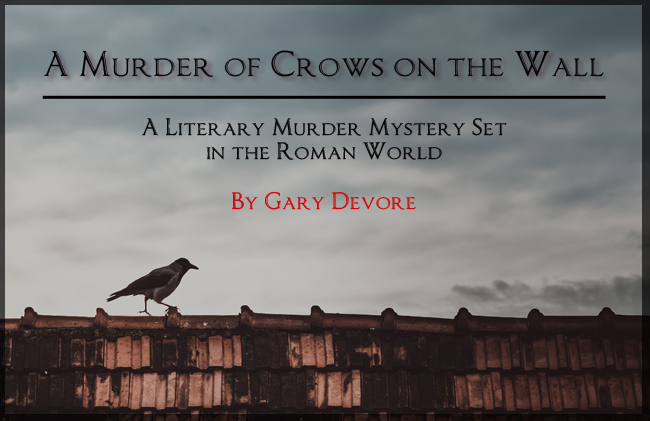 A Murder of Crows on the Wall is a literary murder mystery set on Hadrian's Wall in the third century. This is the current writing project of Gary Devore. He will be posting updates on it at his blog, garydevore.wordpress.com. On the chilly, northern frontier of Britain, Pedius works for the Roman emperor as a mapmaker and surveyor (second class). Usually his days are spent either settling boundary disputes between quarrelsome neighbors or finding the least objectionable build-site for a legion's new latrine. But recently, the gods have decided to torment him. As punishment for some unknown crime, they inflict visions on him– scenes from the lives of anonymous people now dead. In a brutal world where humans are normally disposable and violence is commonplace, these unwanted, intimate glimpses personalizing the lives of strangers fill Pedius with a troublesome compassion. 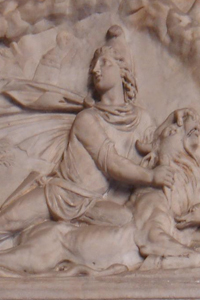 When the emperor's youngest son orders him to investigate a suspicious death along Hadrian's Wall, Pedius is drawn into a dangerous imperial conspiracy. Traveling along the monument, from one side of the province to the other, Pedius uncovers evidence of a second death, and a third, and a fourth... all seemingly connected to a peculiar new religious cult in the area. The use of any imagery does not imply that the original photographer or creator endorses this work in any way.